Take That were number one in the charts (on their first time around!) and Frank Bruno was about to become Heavyweight Champion of the World when Andrew qualified as a Chartered Certified Accountant! 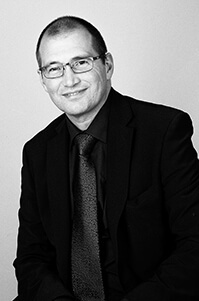 After spending his formative years at one of the UK’s leading Firms and becoming a senior manager at a firm renowned nationally as being at the forefront of business advisory services, Andrew joined Jackie in their own accountancy practice in Wilmslow, South Manchester, in 2000. With a broad background in “non-Compliance” he spends a lot of his time helping clients with ad-hoc advice and assistance using experience gained in over 20 years working with owner-managed businesses. In his spare time Andrew enjoys all things Spanish and is a keen cyclist and motorcyclist.